GreenPro Locksmith offers 24 Hour emergency auto locksmith in Atlanta, Roswell, Chamblee, Dunwoody, Sandy Springs, Norcross, Tucker, Lawrenceville, Smyrna, Brookhaven and all surrounding areas in Atlanta. Unlocking a car key need to be done professionally, an inexperienced auto locksmith could cause more serious damage to your car, while some of them could spend ‘for-ever’ trying to unlock your car keys. Instead of incurring more costly damage on your car or staying for hours on the road, it is recommended you choose the trusted and insured locksmith company when it comes to locksmith services. GreenPro Locksmith is not only a certified locksmith company, but we also pride ourselves in super delivery. 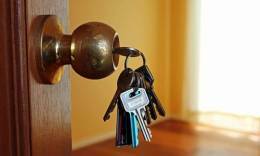 We offer multiple locksmith services ranging from non-emergency to emergency situations. Without a doubt, we offer a very good and reliable service because all our technicians are professional locksmith with the latest technology guaranteed of giving solutions to any problem about your car locks. Can’t get into your car because you already locked keys inside? No problem. GreenPro auto locksmith is around to help you get back on the road in no time. We have the specialized professionals with the right skill and experience to fulfill the task. Even as many cars today now comes transponder keys, our technicians have the right tools, resources, training, and science required to quickly unlock any car door. We can also help you get broken keys out of your lock system as well as offer a full car key replacement service. How quickly will the car locksmith arrive? 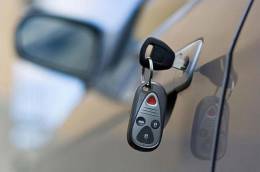 When you need a car locksmith service, you will surely want them right on time. GreenPro mobile locksmith can get to your location in a matter of 15-25 minutes. Even though some factors like the technicians’ location about you and how remote your location is can affect our arrival, you can still be sure our technicians will arrive soon to help you get back into your car. Will it cause any damage to my car? Not in any way! Our trained professionals at GreenPro will painstakingly work on your vehicle with required quality and care to make sure your car is unharmed in the process. You won’t have to worry about spending hours outside your car even at dead times because you can’t get in. We offer emergency services to our clients at any hour of the day. Whether you need services for lock in services, automotive ignition, or car ignition keys, you can always give us a call, and our locksmith technicians will arrive at your location as soon as possible. You do not need to wait till you have a lockout problem before you realize the value of saving the number of a reliable professional auto locksmith because you will never know when you need one. GreenPro auto locksmith can always be at your service anyway, our service locations are: Atlanta, Chamblee, Brookhaven, Norcross, Tucker, Smyrna, Dunwoody, Lawrencville, Roswell, Sandy springs, and all surrounding areas in the Metro Atlanta Area. No matter how careful or conscious you may be, there is always the possibility of losing your home, office or car keys at any time. So it is not a question of why the key was lost but how you get out of the sometimes messy situation. It’s not only those blocks and concretes that make up your home, and it goes far beyond that to include even your precious family and possessions. These are valuables to you, and I think they deserve to be given the utmost protection you can get. Avoid putting your safety and security at risk by allowing incompetent and unreliable locksmiths to change your residential locks. 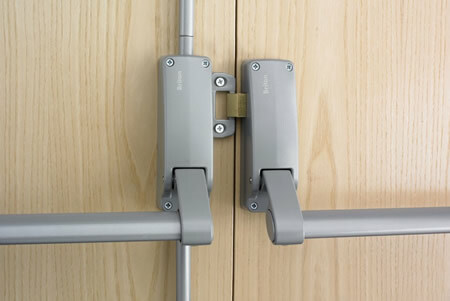 It is recommended that a certified firm like GreenPro locksmith should be your first point of call in Atlanta.